One of Call2Recycle’s primary commitments is to safely and efficiently transport batteries from 30,000 public collection locations to recycling facilities throughout the U.S. and Canada. During the past three years, Call2Recycle has transported and recycled nearly 170,000 cellphones each year in North America. In addition, since the beginning of 2013, the program has collected and recycled more than 8 million lbs. (3.6 million kg) of Lithium Ion (Li-Ion) batteries. Call2Recycle program procedures for collecting and recycling batteries and cellphones comply with the latest in safety regulations, as outlined by the United Nations, US DOT and Transport Canada. Call2Recycle uses only ground transportation to transport all batteries and cellphones to the consolidation facilities where they are sorted, further reducing any safety risks. Tape the terminals of Li-Ion batteries and/or place them in a bag prior to shipping to ensure proper protection against possible short circuits. You can use the individual bags included with all Call2Recycle collection boxes. If you run out of bags, please call Customer Service to obtain more. In the interim, a small plastic grocery or Ziploc-type bag without holes can be used. Detailed instructions are available here. Drop off properly prepared, used batteries at one of our 30,000 drop-off North American locations. Most sites are within 10 miles of a home or office and include retailers such as Best Buy, The Home Depot, Lowe’s and Staples. Many municipalities waste management programs offer community battery recycling through depots, safety/community fairs, roving trucks or curbside pickup. Be sure to follow the instructions above to prepare your batteries prior to drop off. 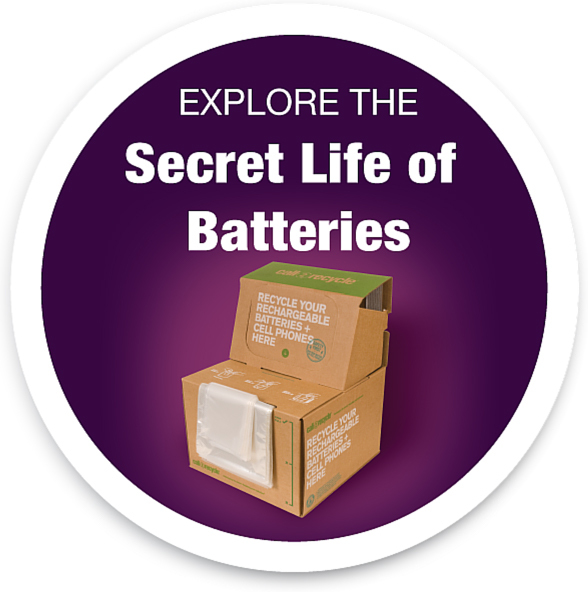 Do you have a battery that is bulging, leaking or otherwise damaged, defective or under recall? Call2Recycle now offers containers approved in the US and Canada for safely transporting damaged, defective or recalled (DDR) household batteries. These kits comply with the special packaging, labeling and shipping requirements outlined by the US DOT’s Pipeline and Hazardous Materials Safety Administration and can be used by consumers or recycling facilities. Kits are available by contacting Customer Service. Until your kit arrives, we advise you take extra precautions. Bag each DDR battery separately and place it in a coffee can with kitty litter in an inaccessible location. If you don’t have a coffee can or kitty litter, we recommend that at a minimum you bag it and place in an inaccessible location. For more safety tips, visit our website for Safety & Shipping Tips.